Siri stole everyone’s hearts when she – it – was introduced to the world together with the iPhone 4S. Fast forward a year later and Apple has given Siri a rather cool makeover for the iOS 6. 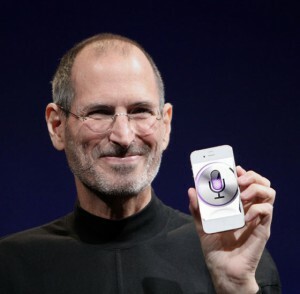 Most analysts expect the new operating system to be launched together with the upcoming iPhone 5. If you are excited about the newest addition to Apple’s smartphone family, you can try sating your excitement a little by learning more about the all-new Siri. She will likely be your best friend once you have the iPhone 5 in your hands. Siri is the perfect date for any sport game. It knows everything about hockey, soccer, football, basketball, and baseball. It can provide you everything from player stats to game schedules to real-time scores of the games playing this very minute. Siri is your ultimate guide to the silver screen. Aside from screening times and theatre lists, it can also provide you links to movie reviews and trailers as well as interesting tidbits like the awards won by a movie or the total filmography of your favorite actor! A way to a man’s heart is through his stomach. If there’s a guy you want to impress, Siri can show you the best way to do so. It can provide a list of the perfect places to eat based on factors like location, seating preferences, cuisine, and your budget of course. You will also get links to reviews, photos of the restaurant, and Siri can even book you a table through OpenTable. It used to be that Siri was only capable of typing your emails and SMS. However, Apple made sure to extend Siri’s capabilities with the iOS 6. This time, Siri can also type on your behalf your tweets and wall posts on your Facebook. It used to be that Siri can also “collaborate” with certain built-in applications installed in your iPhone. This time, Siri’s capabilities extend to downloaded third-party applications as well. Just call on Siri and it can open whichever application you have indicated. Siri merges with your car. Apple is currently working out a deal with various automobile manufacturers which – if it does push through – will allow you to ask help from Siri with a push-button system integrated with your vehicle’s steering wheel. This way, you will be able to keep your eyes on the road – as it should be – while getting Siri to help you out. Well, okay, Siri was already multilingual in the iOS 5 but it knows more languages thanks to its update from iOS 6. Aside from English, Siri also speaks Spanish, French, Italian, Mandarin and Cantonese, Japanese, and Korean – among others! To enjoy nonstop conversation with the all-new Siri from iOS 6, you may want to check if your wireless broadband connection is up to speed. It would be a good idea to check if the 3G service from your mobile phone is also fast enough to get Siri to working seamlessly for you 24/7.